The Derivative Sub-Manga Furry Treasure Hunters! – Bahala Na! The Derivative Sub-Manga Furry Treasure Hunters! The Derivative Sub-Manga Furry Treasure Hunters! published on April 29, 2016 Read more posts by the author of The Derivative Sub-Manga Furry Treasure Hunters!, dbgoodmanNo Comments on The Derivative Sub-Manga Furry Treasure Hunters! 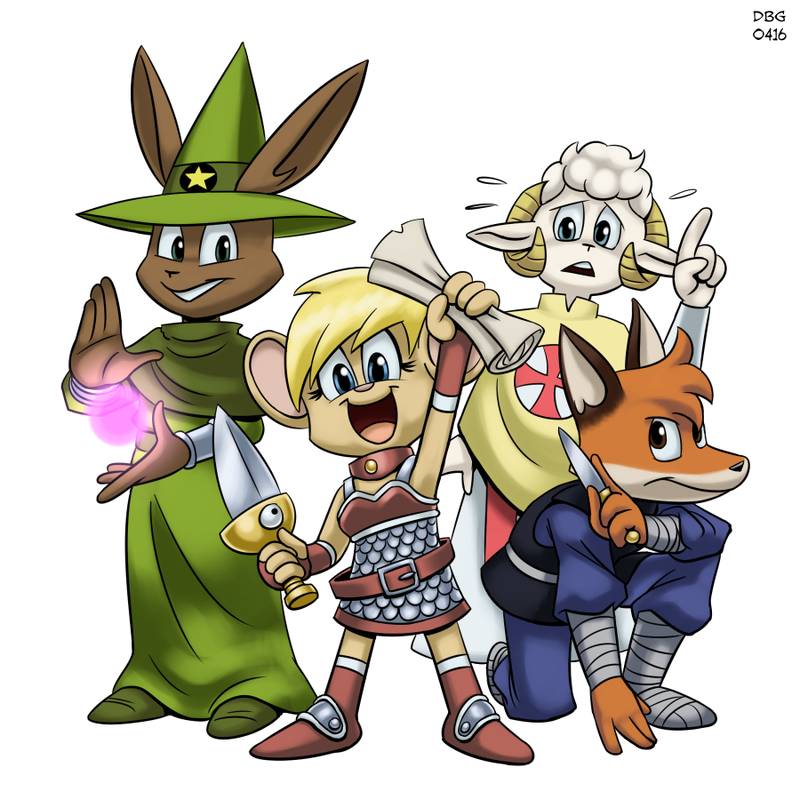 I have a fondness for RPGs so, a long while ago, I sketched out a trio of cartoon critter adventurers. I eventually worked out a story for them to appear in and added a fourth character (Sacerdote) so they would have a balanced party. Lutadora, the mouse fighter and her magic sword Espada. Oh, and don’t forget about Sacerdote, the sheep priest, standing at the back. They first appeared in colour on the back of Bahala Na! 05, but I ignored that completely so their colour schemes are probably a little different here.